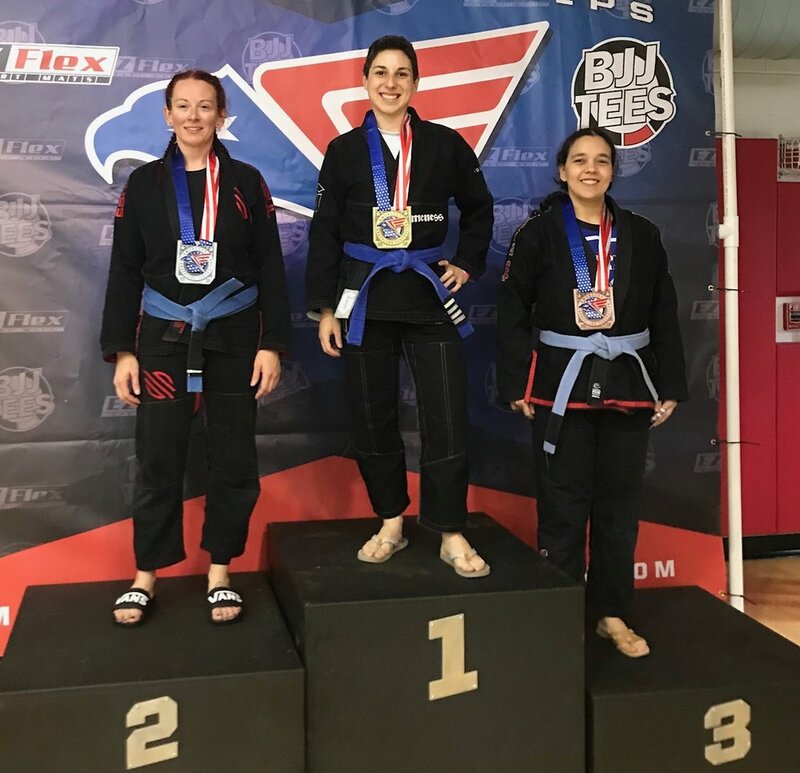 We had a great time at the American Grappling Federation (AGF) tournament in New Jersey this past Saturday. Our youth competition team won 1st and 2nd place for NoGi and Gi, respectively, and our team as a whole (youth and adult) took 2nd place overall for the entire tournament. As always, our youth students conducted themselves in a respectful manner while putting in their best effort on the mats. Due to their smaller brackets, Logan and Magnus twice found themselves in a fierce rock/paper/scissors battle for gold after winning their semi-final matches. Jaxsen and Yaya resolved their “fight” for 2nd place in NoGi in the same manner. I had a blast helping Coach Daniel guide all of these kids through their matches, as they continue to impress both of us with their skills and good sportsmanship. As for the adults, I flew solo this time (with Coach Daniel yelling from the sidelines, of course). Unfortunately, I didn’t have a NoGi match, but I was able to take 1st place in Gi. All in all, AGF New Jersey was a fun, extremely well-run tournament. This was their first event on the east coast, hence the small brackets, but we’ll definitely be attending another, hopefully larger AGF tournament in the future.